A new measurement of the dust around KIC 8462852 reveals that it seems to be consistent with the breakup of a cluster of Halley-like comets. 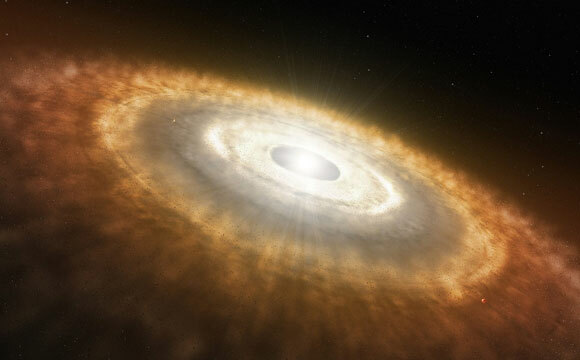 CfA astronomers Mike Dunham, Glen Petitpas, and Lars Kristensen, and their colleagues, realized that if a cloud of dust particles were present in the stellar system, it should be detectable at submillimeter and millimeter wavelengths because of its warm temperature. They used the Submillimeter Array and the James Clerk Maxwell Telescope to search for any such dust. They found no signs of it. They can therefore limit the amount of material to less than about one tenth of the Moon’s mass (at least in the regions mostly likely to host dust) and fewer than about eight Earth-masses throughout the entire stellar system. 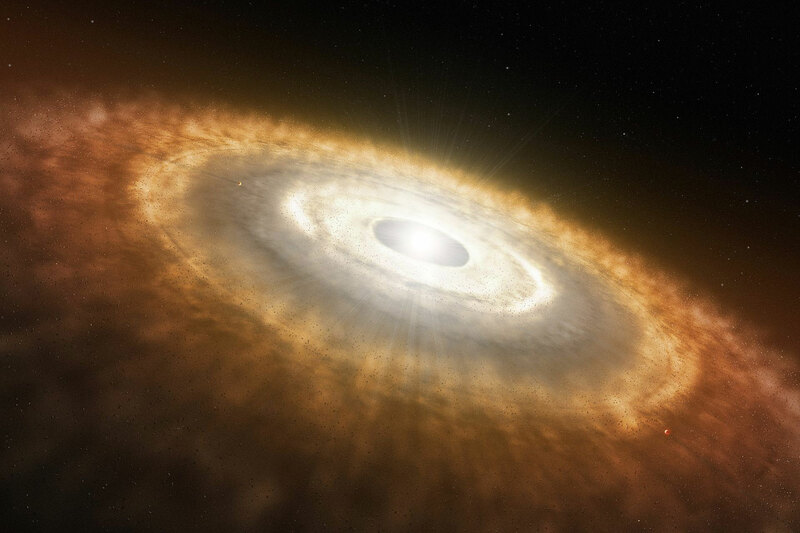 According to the scientists, such small amounts of dust make the catastrophic planetary collision scenario very unlikely, but might be consistent with the picture of the complete breakup of a cluster of about thirty Halley-like comets. The cause of such a dramatic event, however, is not understood, and meanwhile other imaginable scenarios are still allowable, but the new results put a firm limit on the amount of dusty material around this strange and unique star. Reference: “Constraints on the Circumstellar Dust around KIC 8462852,” M. A. Thompson, P. Scicluna, F. Kemper, J. E. Geach, M. M. Dunham, O. Morata, S. Ertel, P. T. P. Ho, J. Dempsey, I. Coulson, G. Petitpas and L. E. Kristensen, MNRAS 458, L39. Be the first to comment on "Astronomers Examine the Circumstellar Dust Around KIC 8462852"